Breakdancing, Climbing, skateboarding and surfing all being invited to join in an effort to make the games more “urban”. Old white men being old white men. 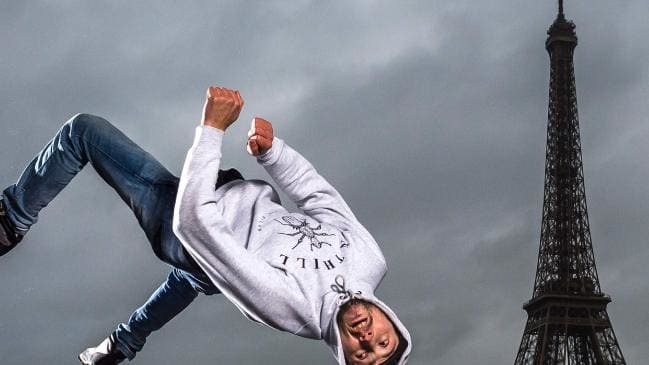 Breakdancing, skateboarding, climbing and surfing have been invited to join the 2024 Paris Olympics, the head of the local organising committee said Thursday. Seriously. Breakdancing?? and skateboarding?? Is it the still the 90s? Could it BE any more 90s? There are far dumber Olympic sports than skateboarding. same thing happened with snowboarding a few years back. Half the dudes were stoned and they successfully argued that it wasn’t performance enhancing. Oh yeah Johnny Rain sure, my knees are shot, I can barely push. Fark you. I’m going skating tomorrow! Well yeah, you can add breakdancing to that list now. Breakdancing is a bit silly, but so is rhythmic gymnastics, and synchronised swimming. Despite John Clarke’s resistance, I’d love to see a cue sport involved. Snooker or 9-ball would be best. How about chess and brick laying? I would take parkour over breakdancing. Now that could be interesting.